The indicative masterplan - the layout and design of the roads and houses is yet to be agreed. Outline plans to build 130 homes on the Badby Road West college site in Daventry were approved by councillors on Wednesday night. 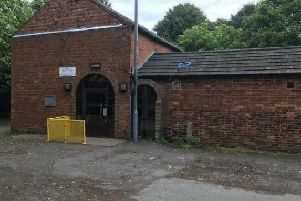 Daventry District Council’s planning committee backed officers’ advice in approving the scheme, which would see a large portion of the current site and playing fields sold off for housing. Funds from the sale would then help pay for a new college to be built on part of the remaining land. The council inserted a clause in the approval meaning work can not start on building the new homes until planning officers are satisfied that a watertight contract has been signed by Northampton College and contracts to build the new college. Councillors were also told that although they had approved the plans, due to objections from Sport England and the Environment Agency over loss of pitches and flooding, the application must go to the National Planning Casework Unit, and could be called in by the Secretary of State who could back the council or reverse its decision.